Open Waters is a shimmering solo work written in perpetual motion painting a picture of the constant movement of the water. 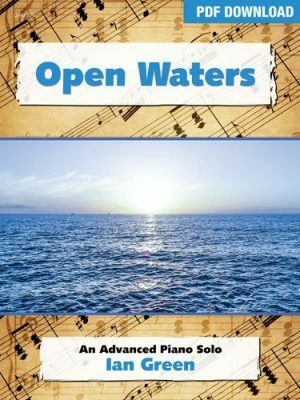 Open Waters is a romantic ballad ideal for recital, recreational, festival or examination repertoire. 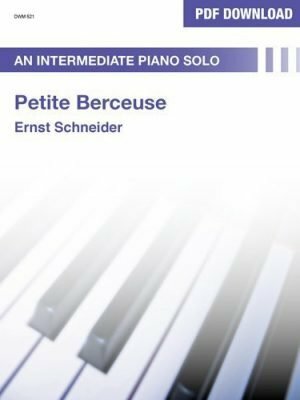 Petite Berceuse is a beautiful and rich lullaby for the intermediate level pianist. The lovely harmonies, expressive and gentle nature create a relaxed and lulling mood. 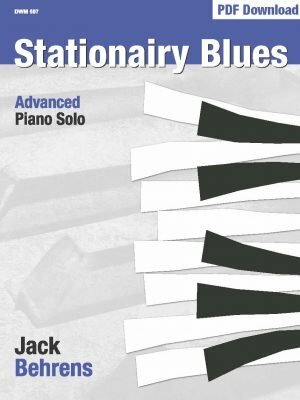 An excellent work for the development of rubato, simple polyrhythms and melodic shapes. Ideal examination or festival solo. Puppet’s Dance is a delightful early intermediate piano duet. The shared melodies and jazzy style create an appealing and comical pair of puppets. Ideal for festival and general performance. 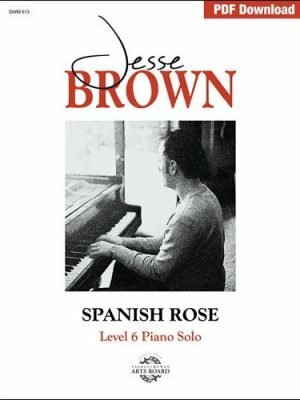 Sadness is an emotionally expressive late intermediate piano solo by Jesse Brown. The gently pulsing chordal accompaniment supports a free and syncopated rise and fall of the melody. The B section builds tension through the perpetual motion of the sixteenth note sextuplets eventually relaxing again with the return of section A. Great introduction to romantic style works, ideal for recital, festival, exams or recreational playing. 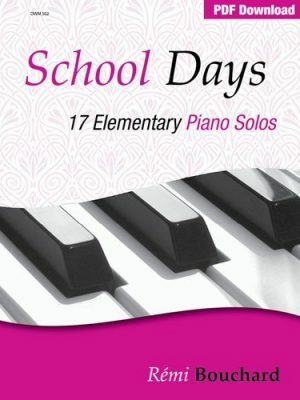 School Days is an attractive collection of 17 elementary piano solos in a wide range of styles, metres and keys. Titles and styles include: Be Quiet and Listen and Dreaming (triple metre, Romantic styles); What is Your Favourite Subject? and Answer, Answer, What is the Answer? (compound metre, etude-like); Think or Sink (irregular metre) and more. Ideal for recreational playing, recitals, festivals and examinations. 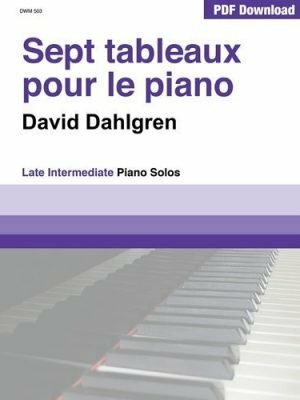 Sept tableaux pour le piano is a collection of seven intermediate piano solos in a broad range of styles, metre and modalities. These very attractive modern works include toccata-style, 3-stave reading, ostinato, pedal tones, 7th chords, wide use of keyboard and a broad range of dynamics. Sept tableaux pour le piano are ideal as quick study, recreational, festival or exam repertoire – a great recital set that could be shared by seven different performers. She’s Like the Swallow is an early advanced arrangement of this beautiful Newfoundland Folk Song. The rich harmonies and haunting melody combine to create a colourful and attractive piano solo. Schneider cleverly paints both an aural and visual image at the keyboard with hand crossing, simple polyrhythms, rubato and wide keyboard range. An excellent performance piece. 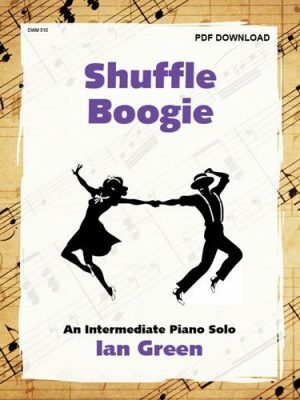 Shuffle Boogie is an entertaining late intermediate level boogie in swing style. The perpetual motion shuffle bass provide rhythmic drive for this exciting work. The ABA form, appealing melody and colourful harmonies will have performers and audiences swinging to the music. Snapshots is a collection of 10 elementary piano solos about children and their character. The appealing titles include: Silly Sally; Sad Sandy; Sweet Susan; Sophisticated Sophie, Sleepy Steeve and 5 more ‘S’ pieces. Works include a wide range of styles (etudes, character pieces, lullaby, Romantic), keys (major, minor, modal) and metres (simple, compound, changing). Snapshots is an excellent supplemental or educational collection..
Spanish Rose is a beautiful romantic-style intermediate piano solo. The left hand is a wash of broken chords supporting a simple, single note melody. Spanish Rose is a wonderful introduction to rubato, romantic-style, same clef reading, hemiola and pedal. A must-play work for all ages. sounding work for the advancing pianist. 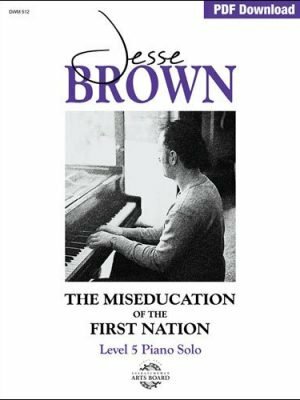 The Miseducation Of The First Nation is a bold and energetic work with dotted rhythms, changing metre and appealing motifs. The accompaniment varies from blocked chords to eighth note arpeggios and finally open fifths. 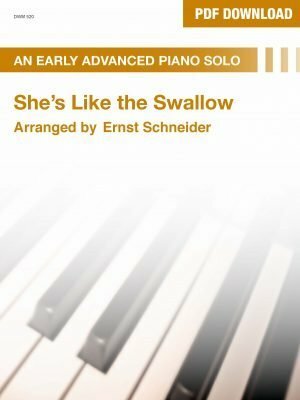 An attractive and appealing work for intermediate players – great quick study or performance piece.